Freedom and Flourishing: Could a powerful interest group form around the ideals of social cooperation? Could a powerful interest group form around the ideals of social cooperation? One way to open up the question of whether a powerful interest group could form around the ideals of social cooperation is to think about the way people consider public policy issues in democracies. Different people are clearly motivated by a wide range of different considerations when they engage in discussion of public policy issues. Their motives are often not widely shared in the broader community. For example people are often motivated by self-interest (impacts on income, wealth, educational opportunities for children, availability of health services etc.) or by other special interests (religious beliefs, environmental concerns, helping the needy, prevention of animal cruelty, gay rights etc.). When their motives are not widely shared, individuals have an incentive to downplay them and to use arguments that might be persuasive to the public at large when presenting their views in public debate. For example, a person who wanted to argue for more help to the needy might put the argument that this is a desirable form of social insurance for everyone – that for the most part those in need are like everyone else except for the misfortunes in their lives. Even though people come to the public discussion of issues with a wide range of different personal interests, the discussion tends to centre on social consequences i.e. the question of whether policy options are consistent with the kind of society they want to live in. The issue of social cooperation is viewed by all participants as being of fundamental importance – options are taken off the table if they are not consistent with respect for the rights of all citizens. There are differences of view about the weight that should be placed on different objectives, such as making opportunities more equal or providing greater economic security, but there is widespread acknowledgement of the validity of such objectives. Discussions about the appropriate means that should be used to pursue objectives are informed by expert advice. As a result of the public debate, opinion tends to coalesce around particular options and governments proceed to implement those options. Yeah, right! You have probably realized that in the preceding paragraph I outlined how I think the political system should work, rather than how it actually works. For example, I have disregarded the obvious point that a large part of the contributions of interest groups to public discussion are aimed at marshalling the people they purport to represent in order to signal to political parties that their votes are at stake. The leaders of some interest groups might even see advantages in promoting a divisive debate to get the people they represent to identify more strongly with that group and less strongly with the interests of the broader community. In casting their votes, citizens are often faced with a choice between identifying with a particular interest group or voting on the basis of broader considerations about policies that are most likely to promote the common good. If they are cynical about the democratic process and have come to view it as a power struggle between interest groups they are more likely to identify with a particular interest group. If an increasing proportion of citizens think that way and engage in the competitive struggle to obtain benefits at the expense of others, the benefits of social cooperation will tend to be increasingly overlooked, to the detriment of the wider community. Jonathan Haidt’s moral foundations theory (explained in ‘The Righteous Mind: Why good people are divided by politics and religion’, 2012) sheds further light on the relative power of different interest groups. As explained in an earlier post, the basic idea is that the virtues that are found in many cultures are related to adaptive challenges of social life that have been identified by evolutionary psychologists. 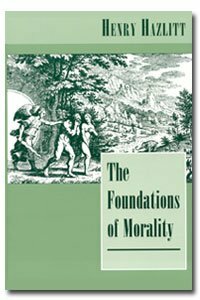 While moral foundations are innate, they are expressed in differing ways and to differing extents in different cultures. Political parties and interest groups that are seeking your support strive to make their concerns trigger at least one of your moral foundations so that you will see yourself as belonging to their tribe. Haidt identifies six moral foundations: care/harm; fairness/cheating; loyalty/betrayal; authority/subversion; liberty/oppression; and sanctity/degradation. It seems to me that all of these foundations are often used by narrow interest groups in ways that are detrimental to social cooperation. The groups can appeal to your instincts to care for other people in your industry, occupation, community, religion etc., to seek retribution if you feel that you have been cheated, to maintain loyalty to the group, to respect group leaders, to overcome the oppression that the group is suffering as a result of ‘a corrupt system’, and to feel disgust at the ‘degrading’ behaviour of those who oppose the group’s interests. However, if an interest group is able to trigger moral foundations, this suggests that it could be powerful even if it doesn’t have strong selective incentives available to it. So, does moral foundations theory suggest that it might be possible for powerful interest groups to form around the concept of social cooperation? Social cooperation seems to me to involve all six moral foundations. The ideal of non-coercion - living in peace on the basis of respect for the rights of others - is clearly related to the care/harm module. The ideal of voluntary cooperation for mutual benefit involves reciprocity and trust, and is closely related to the fairness/cheating module. When people in western societies engage in acts that conflict with the ideals of social cooperation they are betraying the heritage that enables them to live in peace, with widespread opportunity and a degree of economic security beyond the dreams of their ancestors. The ideals of social cooperation are consistent with recognition of the authority of the leaders of organizations that individuals are free to join or leave. Social cooperation is all about liberty. In respecting the rights of others we can take comfort from knowing that we are respecting the sanctity of the golden rule to treat others as we would like to be treated ourselves. In addition, the ideals of social cooperation seem to me to be supported by what Steven Pinker refers to (in ‘The Better Angels of Our Nature’, 2011) as ‘the escalator of reason’. He argues that the escalator of reason has provided a basis for taking intuitive moral foundations to a higher level as education levels have risen and skills in abstract reasoning have improved. As previously discussed on this blog, the escalator of reason involves ascending to the vantage point of an impartial spectator (i.e. detaching oneself from a parochial viewpoint). Pinker argues that a value system in which human flourishing is the ultimate good can be mutually agreed upon by any community of thinkers who value their own interests and are engaged in reasoned negotiation. Despite all the above, some might argue that a powerful interest group could not form around the ideals of social cooperation because, like motherhood, it is commonly viewed as so obviously desirable that there does not seem to be any need to campaign for it. If we look back in history, however, we owe the benefits of social cooperation we now tend to take for granted to the activities of interest groups a few centuries ago (see this post for elaboration). When the basis for social cooperation is seen to be coming under threat, strong countervailing interest groups could be expected to form in order to defend it. For elaboration of these views, please see my book Free to Flourish. Sorry to be vague, but you lost me in the last 4 paragraphs, in the sense that I stopped understanding what you were trying to say. I see what you mean, Thomas. It seems a bit abstract. There is an attempt to explain this in Chapter 8 of the book I am writing - in the section entitled ' A basis for hope'. I would be grateful if you could follow the links to the book's web site (see top right hand side of blog) and see if you think what is written there is any clearer.